Don't want to appreciate free entertainment? FINE. Heart-stoppingly pretty. Just not heart-stoppingly pretty ENOUGH. It's simply a painful fact of living here: D.C. residents desperately want anything New York has. Sometimes we get it, like PinkBerry and Shake Shack. Sometimes we don't, like a 24-hour subway system. Did you know they even have a swankier Screen on the Green than us? 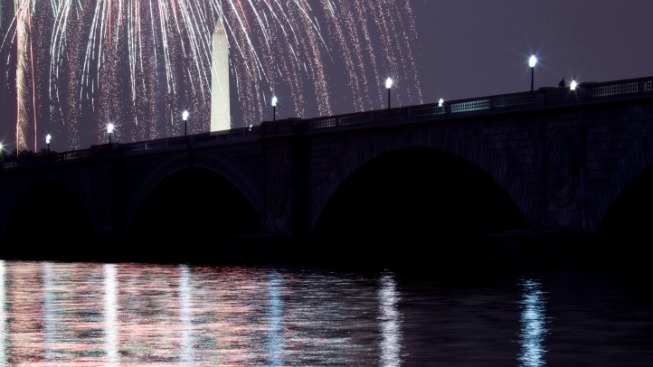 Within minutes of the grand finale of the National Mall's fireworks show last night, the disappointed and confused masses took to the Twitternets to register their concern and/or disapproval. 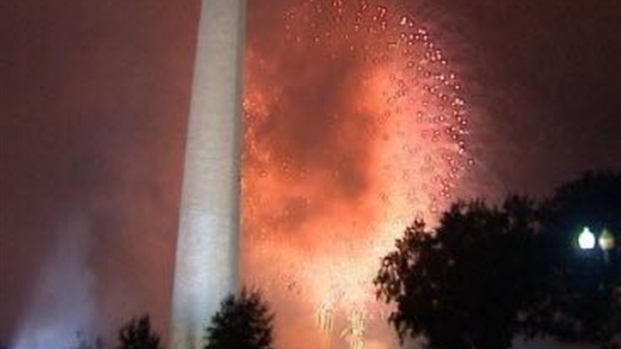 Fireworks from the National Mall. Especially for those who also saw glimpses of New York's display on TV, last night's display was seemingly yet another bitter, District-shaped pill to swallow. "New York's fireworks make D.C.'s look like they bought one of those mixed packages of roman candles off some shady street vendor," bgluckman posted. Hey, at least we have shady fireworks street vendors here. (They're illegal in the Empire State.) Then again, we didn't have six barges to launch those fireworks like some other cities do. "Holy bejeezus, New York! I think D.C. and its little Capitol Fourth just got served," urbanbohemian wrote. The budget-strapped National Park Service funds our fireworks, whereas New York's are sponsored by the comparatively cash-flush Macy's. We need to get some corporate sponsorship here, but this is Washington, after all, and "A Capitol Fourth Sponsored by One Thousand Law Firms" just doesn't have quite the same ring to it. "I can hear the fireworks from my couch. Watching [Law & Order]," WashingTina wrote last night. Yowch. But just remember, the New York subway has no escalators at all. At least we have broken ones.